This 2017, the Xinshe Sea of Flowers Festival will run from November 11 -26, 2017. 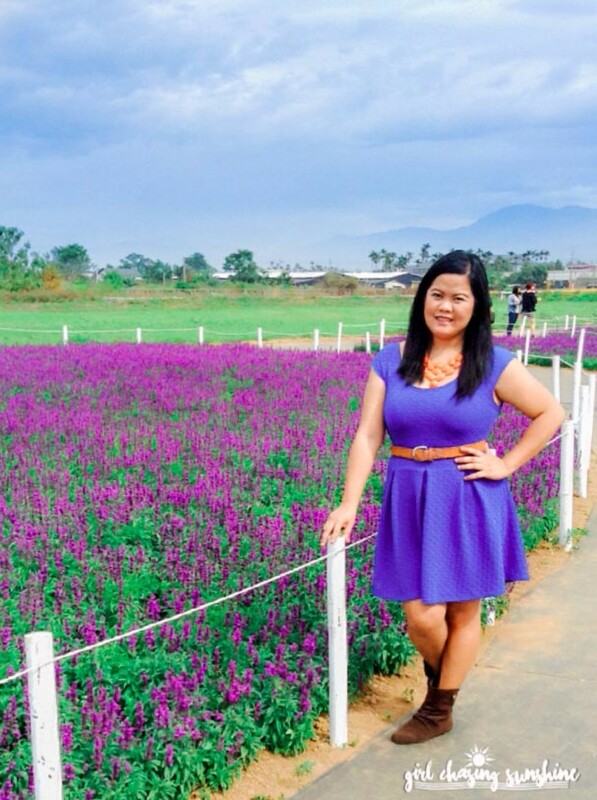 Everywhere we went, there were splendid hues. 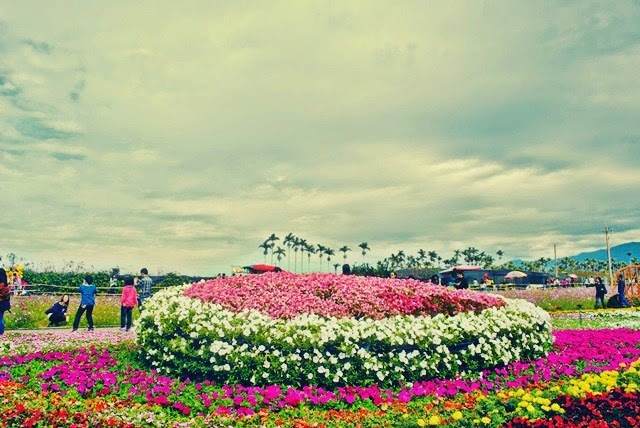 Everywhere we looked, there was vibrance. 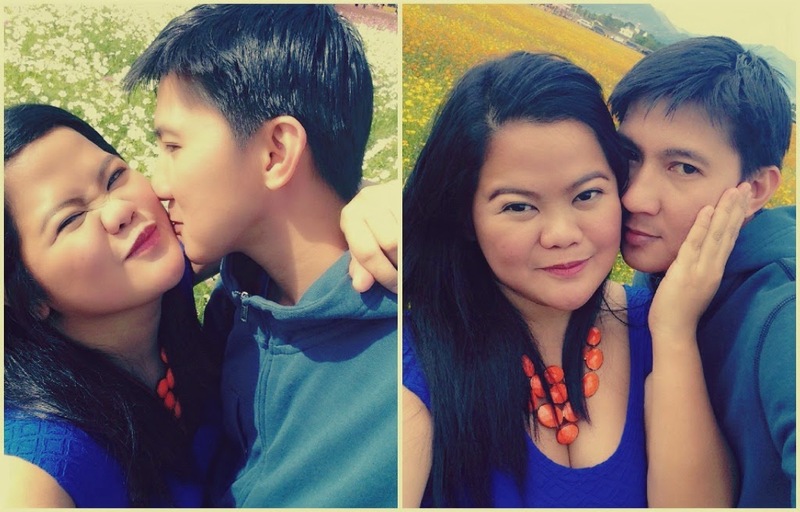 There were wild flowers swaying with the autumn breeze and blossoms bursting with colors made even brighter with the kiss of sunshine. 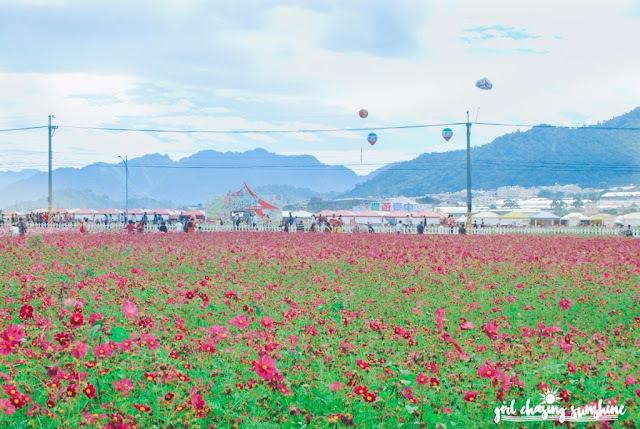 Somehow, visiting the Taichung Sea of Flowers Festival in Xinshe was like seeing a piece of heaven. 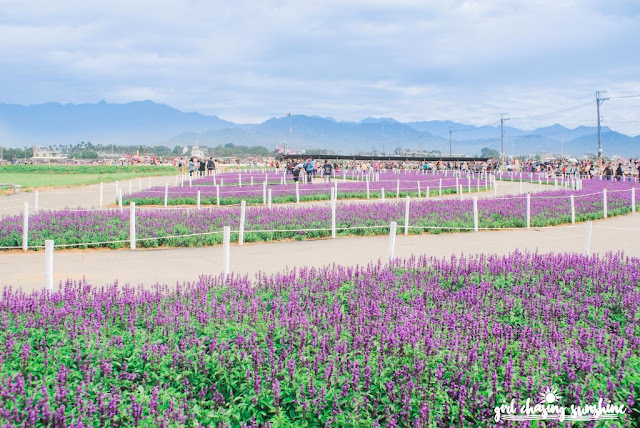 On my first visit to Taichung, Taiwan one fine, sunny autumn day, we braved the twisted turns and slopes of the road going up the rural district of Xinshe to see the famed Taichung Sea of Flowers Festival. 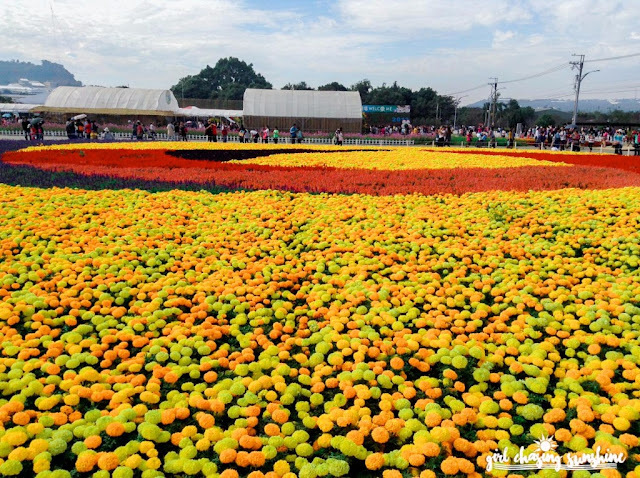 Also known as the Taichung International Flower Carpet Festival, it is an annual activity held since 2005 on the grounds of the Taiwan Seed Improvement and Propagation Station. The event is usually organized during autumn season, from late November to early December of each year, in an effort to promote the local tourism and leisure-agriculture industry. 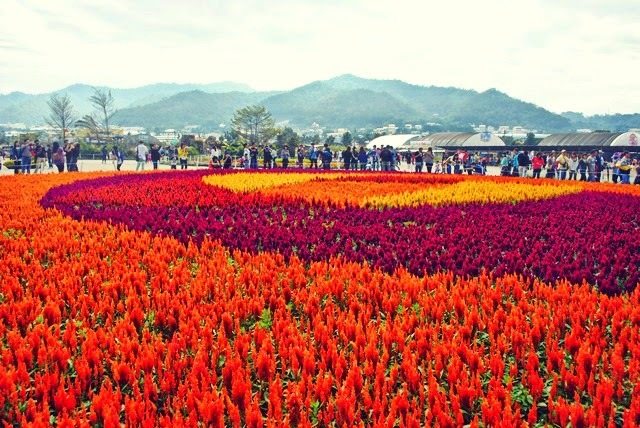 Since this is one of the largest and grandest landscaping festivals in Taiwan and there is no entrance fee, there was a full-packed crowd on our day of visit to Xinshe Sea of Flowers. 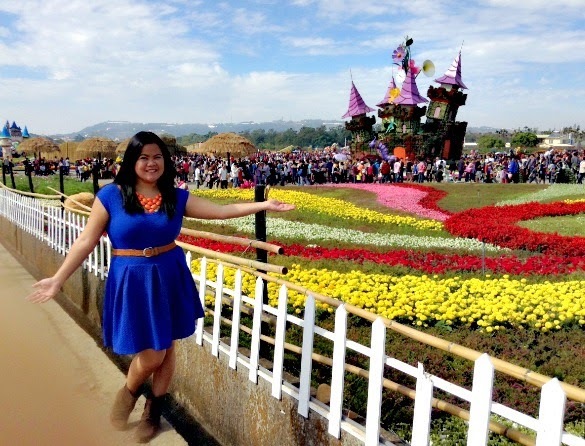 The sun was blazing, parking was limited, and the place was teeming not only with flowers but with people as well. That did not hinder as though to explore the vast floral landscape sprawled in front us. 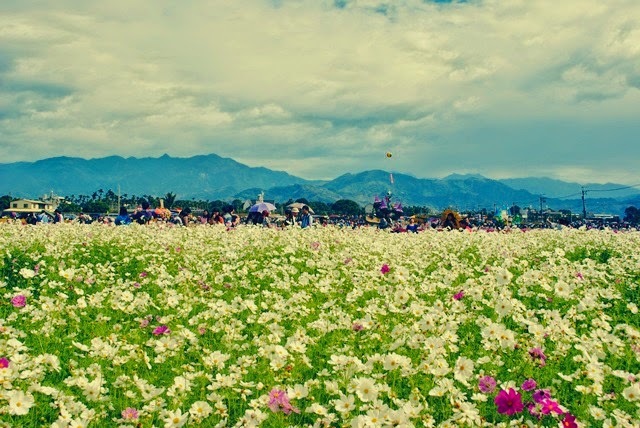 The Sea of Flowers Festival spans over 30 hectares of endless panorama of blooming floral fields. 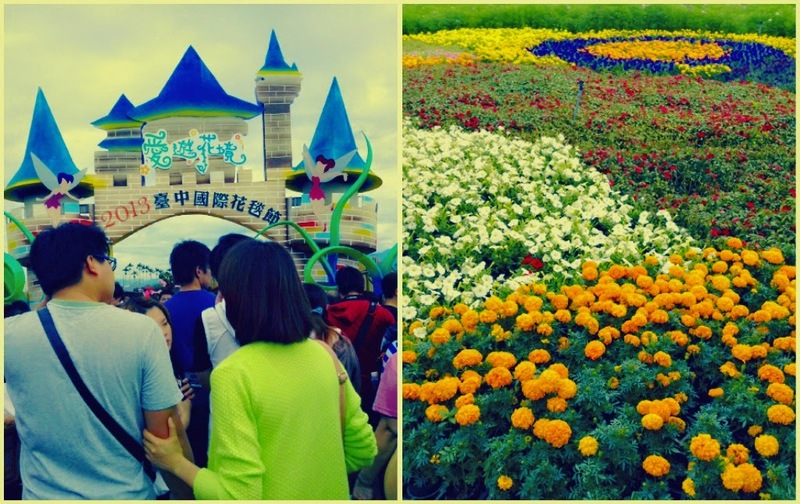 The festival was divided into eight theme chambers namely the Happy Farming Exhibition, Cinderella Exhibition, Amu Forest Exhibition, Happy Farming Villages Exhibition, Incredible Fern Exhibition, Healthy and Beautiful Farming, LOHAS Promoting Group and Colorful Taichung International Flower Carpet Festival. 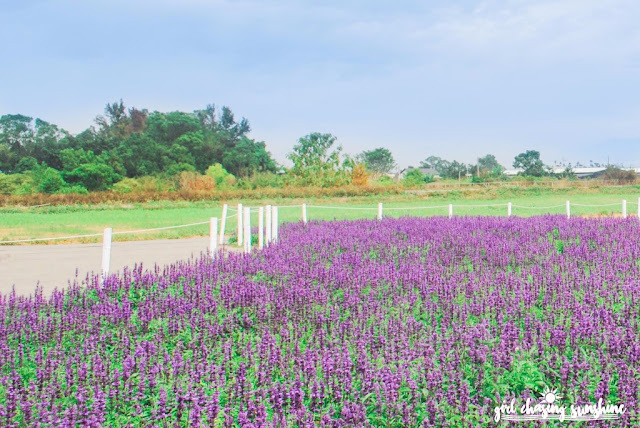 Planted everywhere were vivid blossoms of perfect-looking chrysanthemums, sunflowers, wild daisies, lavenders, tulips, begonias, sage, spider flowers, marigolds, among others. 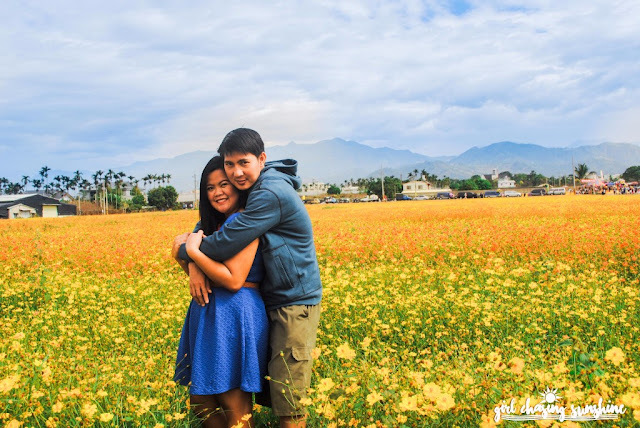 Though it was ultra jam-packed with tourists, we managed to find our own spot in the rows of sunflower fields. Beyond the colorful flowers, there were other interesting man-made displays as well. 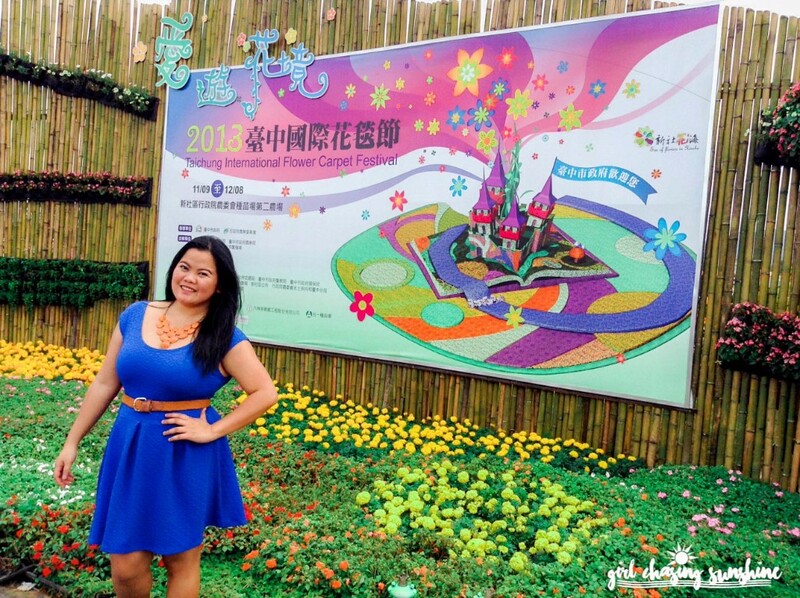 The central attraction was a large magic castle. 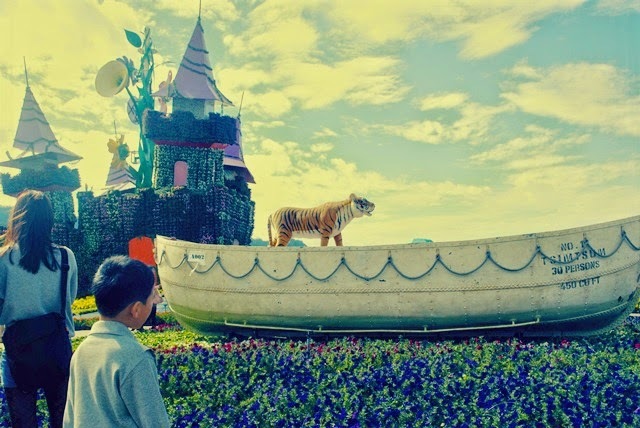 Around it were whimsical displays including a lifeboat used in the movie Life of Pi, a rabbit wearing a floral outfit, a giant tree, and a romantic horse carriage—all proved to be a hit as tourists took turns in taking photos of and with them. 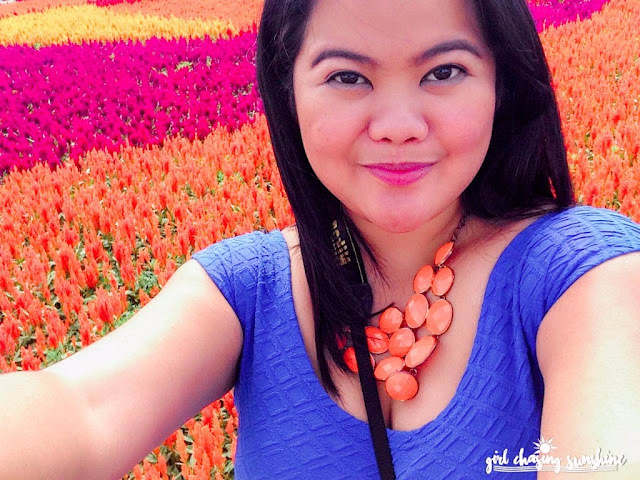 We spent the succeeding morning hours exploring and roaming the seemingly infinite floral fields. The gentle swift of the autumn wind let us enjoyed the festival even more. Indeed, there was no denying it was one lovely day. When in Taichung during late autumn, don’t move on without visiting the Sea of Flowers Festival in Xinshe. For more information on the festival, visit the Taichung Tourism Website. From Taoyuan Airport or from Taipei, take a bus or a THSR to Taichung City. This would take around 55 minutes - 2 hours. 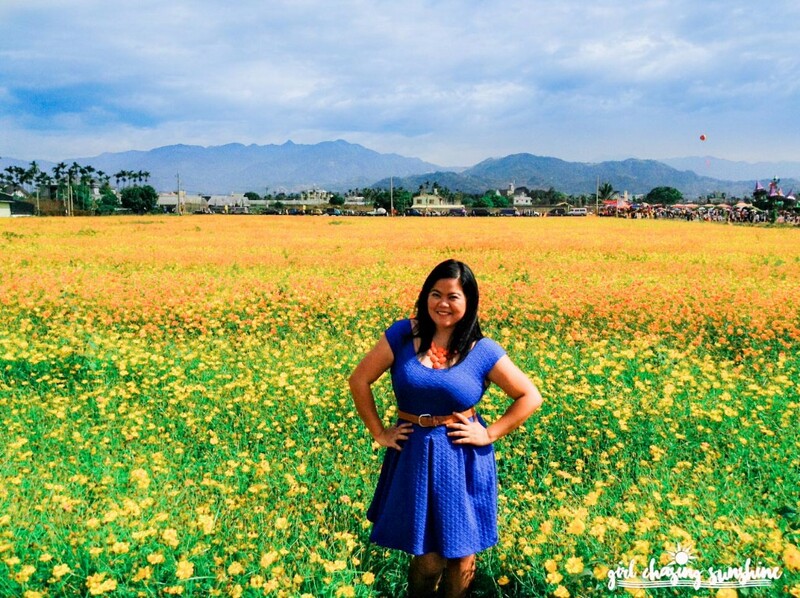 From Taichung District, hire a private car to take you to Xinshe. 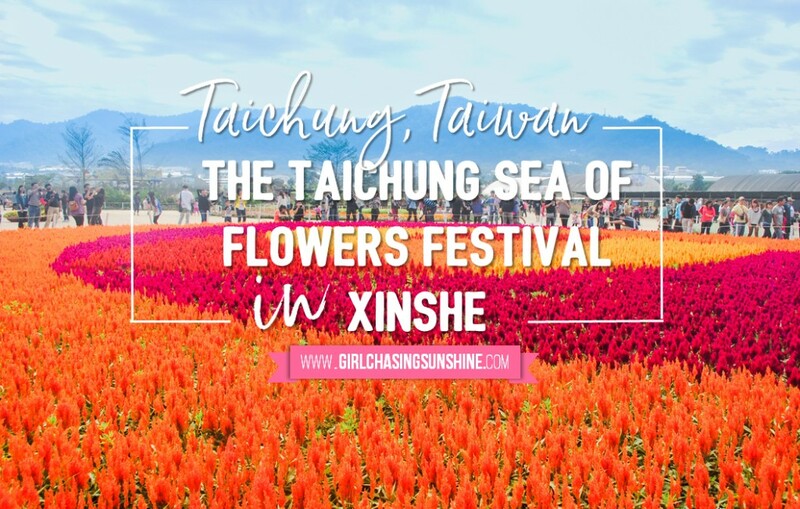 You can do a daytrip which includes the Xinshe Sea of Flowers Festival, Xinshe Castle or Summit Resort, Lavender Cottage, Carton King, and Moncoeur (Heart Fang Ting). We recommend Mr. and Mrs. Chen. Email them through safetaxi8@gmail.com. Another recommendation is Round Taiwan Round tours. If driving your own vehicle, take No. 1 National Highway (Zhongshan Highway) to No. 4 National Highway. Exit Fengyuan Interchange, turn left on Fengshi Road and drive towards Dongshi. 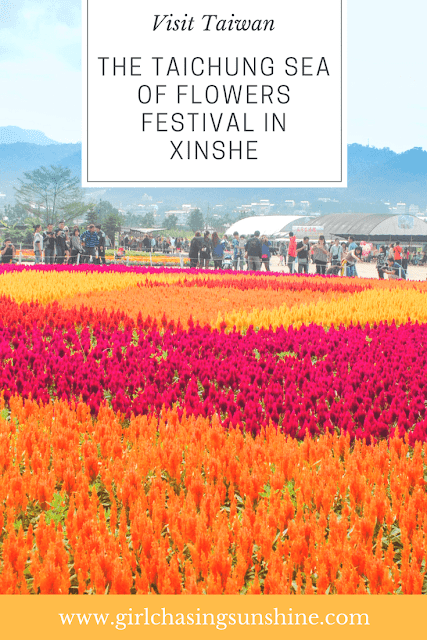 Continue to 129 Country Road towards Xinshe until you see the Xinshe Sea of Flowers Festival Exhibition. From Taichung: Take Fengyuan Bus No. 270, 271, 276, 277 at the front of Taichung Railway Station to Zhongxingling, Xinshe District. 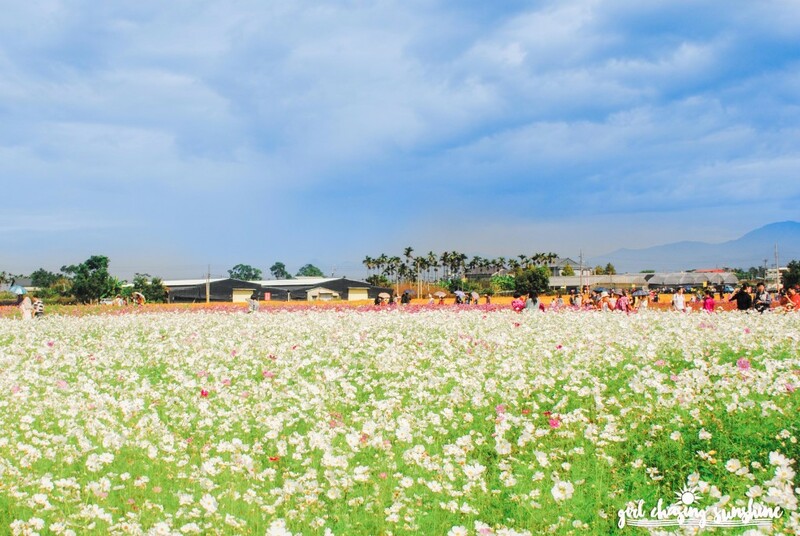 From here, Xinshe Sea of Flowers is a 30-minute walk. Take Fengyuan Bus No. 91 at the front of Fenyuan Railway Station to Zhongxingling, Xinshe District. From here, Xinshe Sea of Flowers is a 30-minute walk. 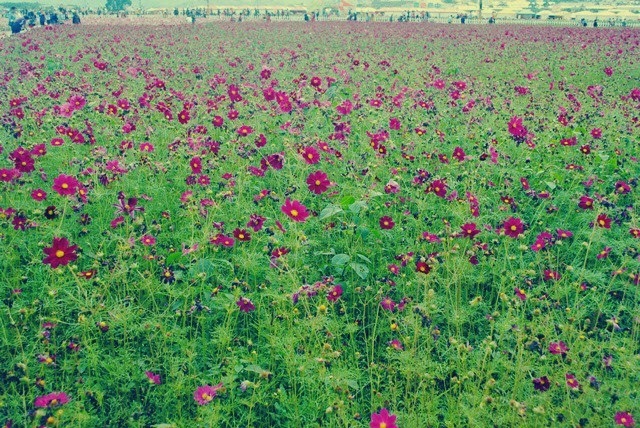 Take the shuttle bus at the front of Fenyuan Railway Station going to Xinshe Sea of Flowers. This option is only available during weekends. 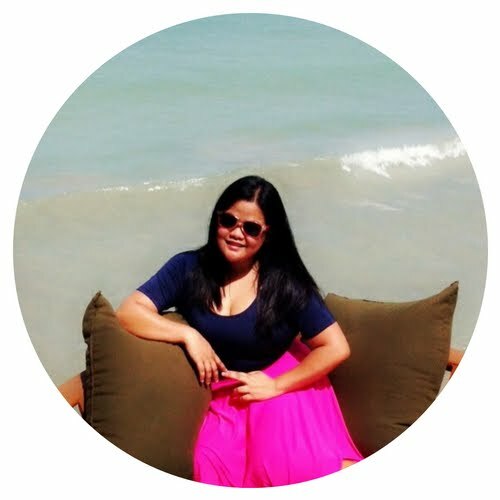 If you like this post, hover over the image to save and share it on Pinterest! Jacq! I've seen one of your recent posts. 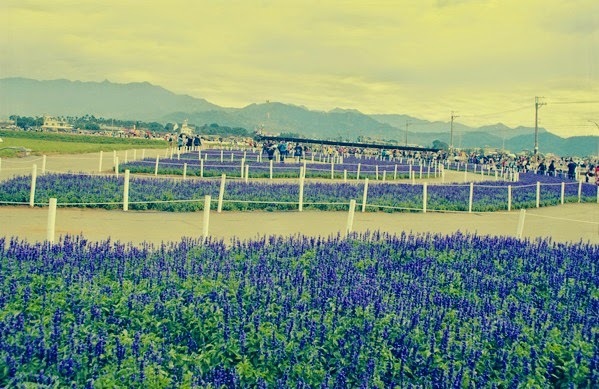 You went to Nantou sa Cingjing! 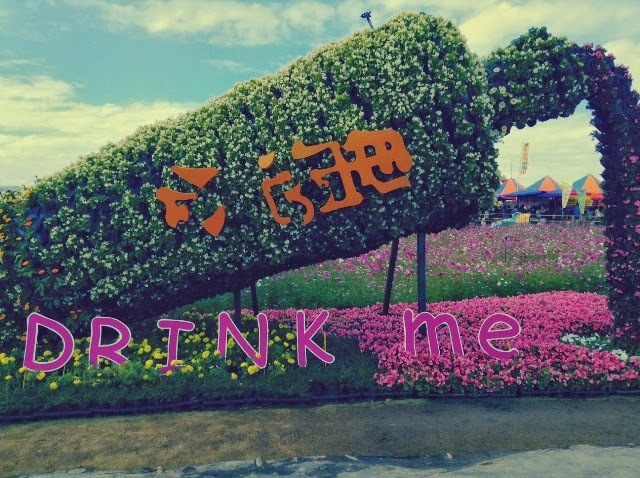 <3 I've been to Taichung thrice but I was never able to visit Cingjing. Hopefully, on my next return. :) Love the Hehuanshan sunrise photos! Hope to meet up with you when I come back to Taiwan. Awesome ! 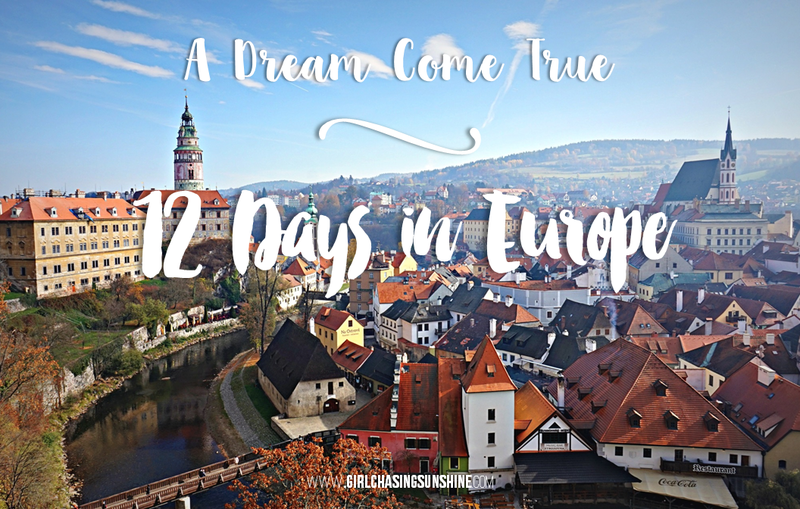 that's a thing I'll actually add on my bucket list! What an amazing sight -- it's like walking around in a huge painting. Thanks for sharing this. How lovely!! I'm looking for similar spots here in the Philippines, do you know if there's any? Or at least a sunflower farm! 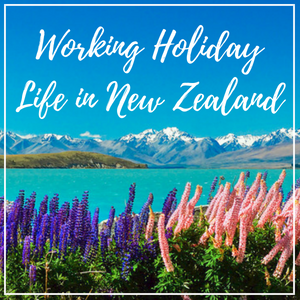 Would love any tips you got! So pretty! 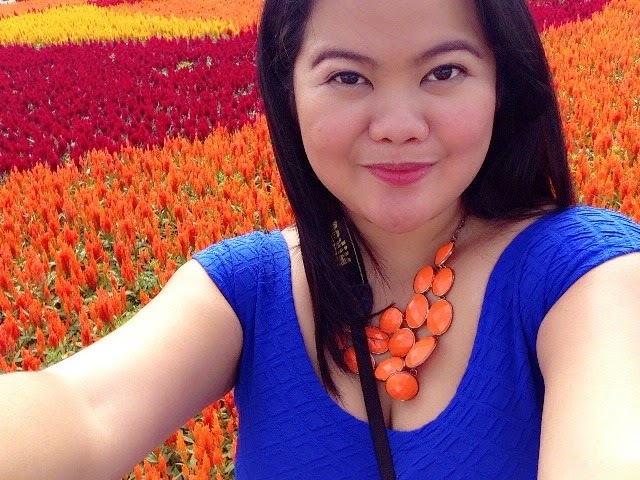 It's awesome that they plant the flowers in designs. 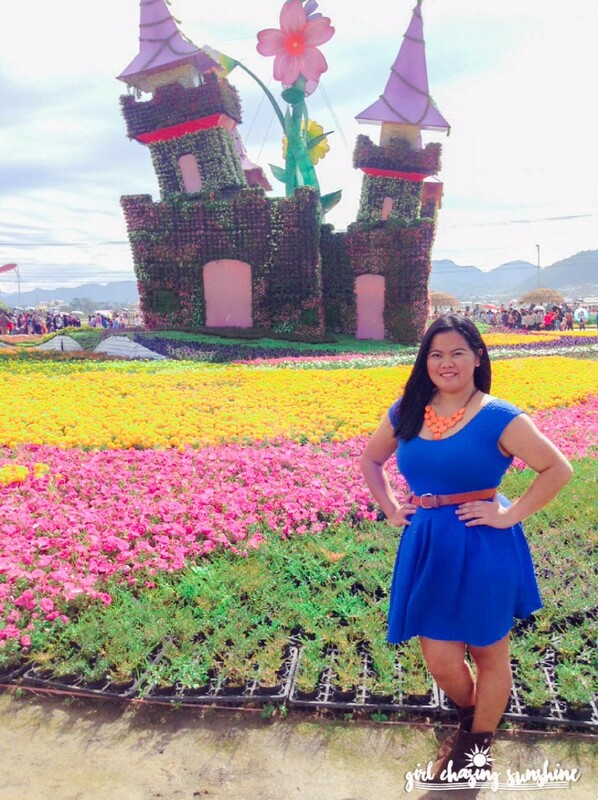 I like that little castle in the middle of the flowers. This is beautiful, I never knew about this! What a great experience it must have been! Wow, this place looks like a fairy tale land!! I would LOVE to go here! Thanks for sharing its stunning beauty!